Gorgeous Desert Roses from the Mexican desert. Absolutely lovely shape and form. Desert Roses belongs to the Gypsum family of stones. Do NOT wash this stone in water as it will dissolve ! Desert Rose helps us to produce strong bones and can enhance the elasticity of our skin. It is also said to stimulate fertility. Desert Rose can help us to clarify our thinking and our perception of things. It is useful in helping us to worry less and to be more practical instead. It helps to quiet the mind and can sustain us when we think that life in general is "happening to us too quickly". It is often said that Desert Rose gives us the space that we need to "take time to smell the roses". It is also considered to be a lucky stone and a bringer of good fortune. 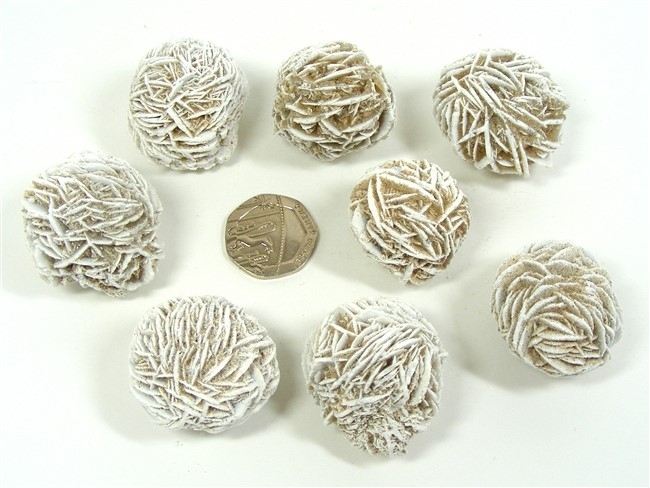 Desert Rose helps to mould our thoughts towards spiritual growth and improvement. It improves our ability to see visions.